In the automotive industry, China has been a market of superlative growth for many years now. In 2018, approximately 23.3 million vehicles, nearly a third of new vehicles worldwide, were newly certified in China. Although growth has recently begun to slow down a bit, there is no question that established international automotive manufacturers cannot overlook the East Asian country if they plan to remain successful over the long term. At the same time, Chinese OEMs have long shed their image as cheap manufacturers and have moved to the fore when it comes to future trends such as electromobility and autonomous driving. Accordingly, ZF will significantly increase its development capabilities and hire additional 1,000 engineers in China. 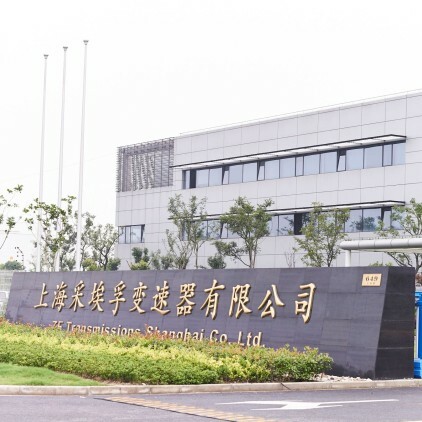 At the same time, the Group will have built three new production facilities by the end of 2020, including two plants for electric power steering and chassis components for passenger cars in Zhangjiagang as well as a hub for different types of electric drive solutions in Hangzhou. Electromobility plays a particularly important role in China due to stringent legal provisions and subsidies. Over half of all electric vehicles that were newly registered worldwide in the last year are being driven on the streets of China. The ZF transmission plant in Shanghai has been producing automatic transmissions since 2004. 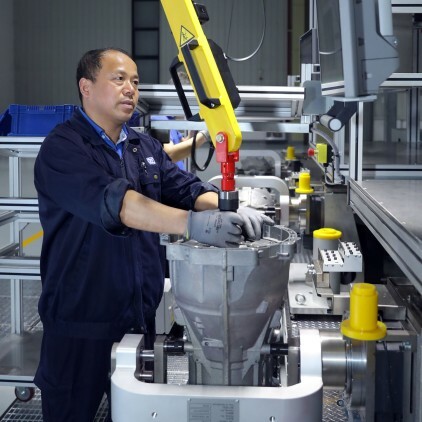 The start of series production of the 8HP 8-speed automatic transmission in ZF’s transmission plant in Shanghai serves as another important example of the Group’s comprehensive localization strategy. Since 2004, 5-speed, followed later by 6-speed, automatic transmissions have been manufactured at the plant. In addition, further development of the Group’s flagship product, which will go into production in the spring of 2022 in Saarbrücken, is slated for localization in Shanghai. The fact that ZF enjoys success with its transmissions in the age of electromobility when also offered in hybrid models is evident from a recently notched-up large order from BMW. ZF already manufactures prototypes of the 8-speed automatic transmission 8HP at its Shanghai plant. Volume production is set to begin in Q3 2019. The technology company cooperates with the China Automotive Technology and Research Center (CATARC) and works closely with Chinese customers, both new mobility service providers as well as established OEMS, in order to develop solutions that meet the specific requirements of the Chinese market. For example, ZF is manufacturing the TraXon commercial vehicle transmission in a joint venture with Foton, a commercial vehicle manufacturer. Manufacturing will start in the next few days in the newly built plant in Jianxing. “We plan to increase our localization efforts to 100 percent in the coming years by strengthening the presence of our innovations and high-tech products even more,” says Klein.